With its standing as home to Butterfly World, events like the Butterfly Festival, and a butterfly garden at City Hall, most people can see why Coconut Creek is known as the Butterfly Capital of the World. 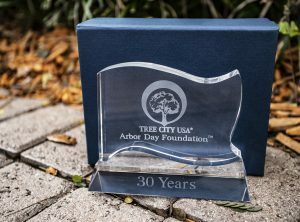 But, Coconut Creek also holds another title: Tree City USA, a designation from the Arbor Day Foundation held by more than 3,000 cities that commit to standards of urban forestry management. 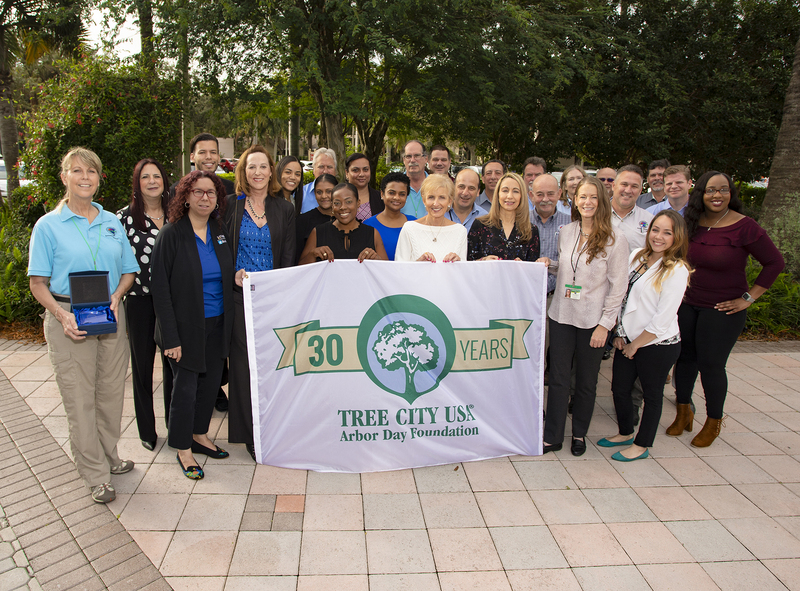 In fact, 2018 marked the city’s 30th as a Tree City USA. One of the reasons for that distinction is the city’s annual Free Tree Giveaway, which, this year, marks its 19th event. It’s just one of the ways that Creek defines its commitment to green living. 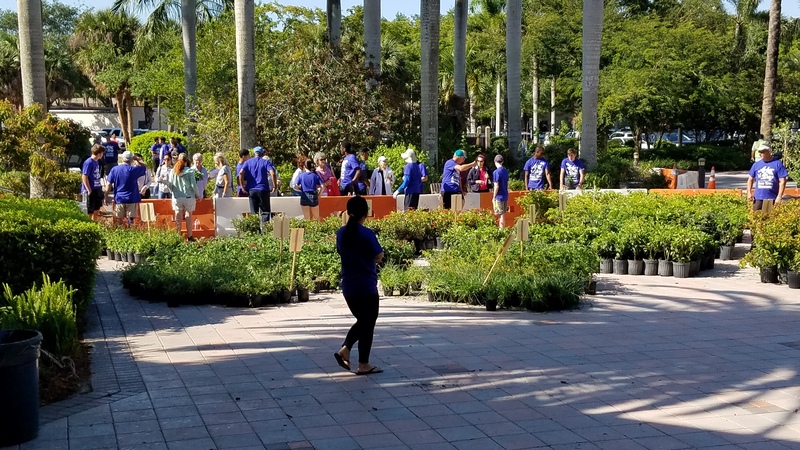 To gain more insights about the many ways the city protects trees and the environment, Coconut Creek Lifestyle spoke to the event’s organizer, Sharon Vollmer, the city’s urban forester. Staying green. 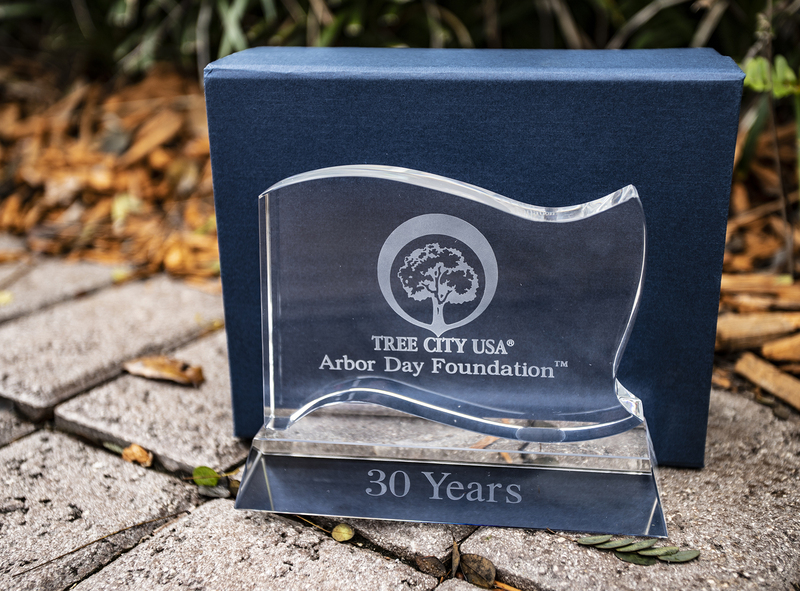 To be a Tree City USA, Coconut Creek fulfills the program’s four standards: maintaining a tree board, having a tree ordinance (laws that protect trees), spending $2 per capita on urban forestry, and issuing a proclamation of Arbor Day. For the first requirement, Creek maintains an environmental advisory board, made up of volunteer residents chosen by commissioners, who give advice on environmental programs, tree issues and sustainability practices. For the spending requirement, the city takes the total spent on tree maintenance, landscaping and other beautification projects annually and divides it by the number of residents. This number must be at least two to fulfill the requirement. For the other two requirements, the city has laws that protect trees, and it issues an Arbor Day proclamation every April. Green pride. Vollmer says residents take pride in the Tree City USA designation, represented by a flag (provided by the Arbor Day Foundation) in the commission chambers at City Hall. Tree plantings by the city and residents add to the city’s tree canopy, or the amount of space covered by trees. Coconut Creek’s goal is to attain 40 percent coverage (historically a goal for cities) with a variety of tree species. Watch it grow. 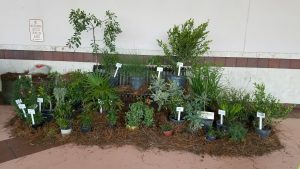 To celebrate National Arbor Day (the last Friday in April), Coconut Creek hosts two tree events: a tree planting ceremony on the last Thursday of April and the Free Tree Giveaway on the last Saturday in April. The city partners with civic groups for the tree-planting ceremony. Several trees have been planted at partner Creek schools. One year, the Women’s Club of Coconut Creek joined the city in planting a tree at Donaldson Park. 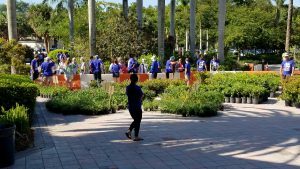 Last year, members of the Rotary Club of Coconut Creek helped plant 17 trees in memory of the Parkland shooting victims. This year, the city is partnering with the Coconut Creek Chamber Council. Tree of Life. 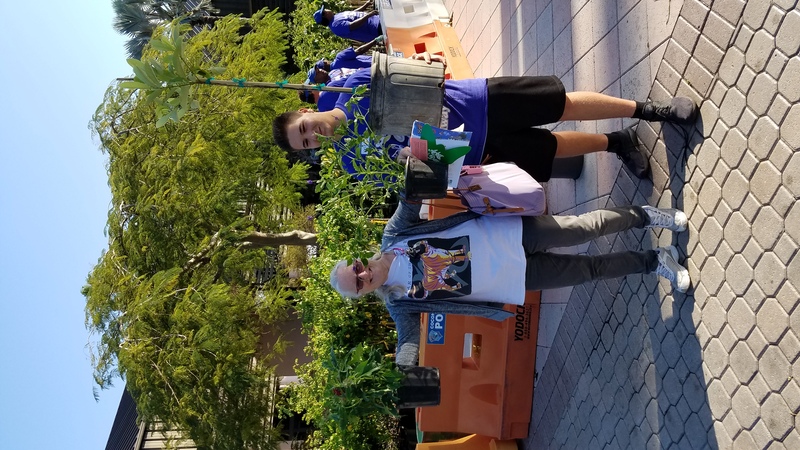 Apart from their traditional tree plantings, this year, the city honored the victims of the shooting at Marjory Stoneman Douglas High School on Feb. 14, the one-year anniversary of the tragedy, by planting a Lignum vitae, or Tree of Life, near the flagpoles at City Hall. It’s free. The Free Tree Giveaway is one of the city’s largest events—more than 600 residents attend each year, creating a network of people contributing to Creek’s environment. Some might not know that by doing this, they become active contributors to the urban forest—a term that encompasses all nature in an urban environment. Part of Vollmer’s job as Creek’s urban forester is to help manage this environment. Get educated. 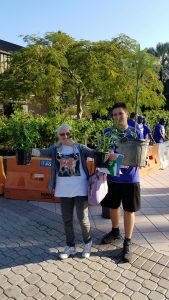 To receive their free trees and plants, residents visit a number of booths offering education on green and sustainable living. Exhibitors often include the Happy Hoofers chapter of the Florida Trail Association, the Broward Beekeepers and others. A new exhibitor this year is the Broward County Butterfly Chapter. Residents can also look forward to new education stations, including one giving tips on how to design their landscapes to conserve energy. In the wild. The trees given away add to the city’s tree canopy, but the plants also encourage people to keep wildlife in Creek. The city is a certified as a wildlife habitat by the National Wildlife Federation and the plants and shrubs given away help attract butterflies and other wildlife. For those wanting to plant a butterfly garden or any garden, receiving plants at the giveaway is a perfect start. Vollmer says part of the purpose of giving away plants is to help residents “kick start” their gardens. Every event features a mix of plants and trees—fruit, nonfruit, flowering, nonflowering, native and nonnative—to add diversity to Creek’s plant life. What: Open to residents with proof of residency. One tree, one wildlife-attracting plant and one plant suitable to start a butterfly garden are given per household. Tips on plants, gardening, sustainability and more: Read the monthly “Green Excellence” column in Coconut Creek Lifestyle magazine, written by Vollmer and colleagues at the city.